Most people understand that trespassing means going or being someplace where you are not allowed to be. Sometimes the charges will arise out of situations where there was a misunderstanding and sometimes lots of alcohol was involved… Either way, it is important to take the charge seriously because your case might be a lot more complicated than what you imagine. 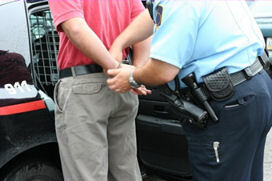 A criminal trespass charge is broken down into two different degrees which indicate the seriousness of the offense. The more serious offense is criminal trespass 1° which means you knowingly entered or remained unlawfully in a building. This charge is a gross misdemeanor which means the maximum penalty is 364 days in jail and a $5,000 fine. A common example for this charge is being thrown out of a bar and being told not to return but then you actually go back. Slightly less serious is criminal trespass 2°. This charge is a misdemeanor which means the maximum penalty is 90 days in jail and a $1,000 fine. You are charged with this when you knowingly enter or remain unlawfully on someone’s property – but the property is not a building. If you are facing a criminal trespass charge, do not hesitate to give us a call. We are more than happy to discuss with you your situation and help explain to you the process.